Happy first Friday of 2017! 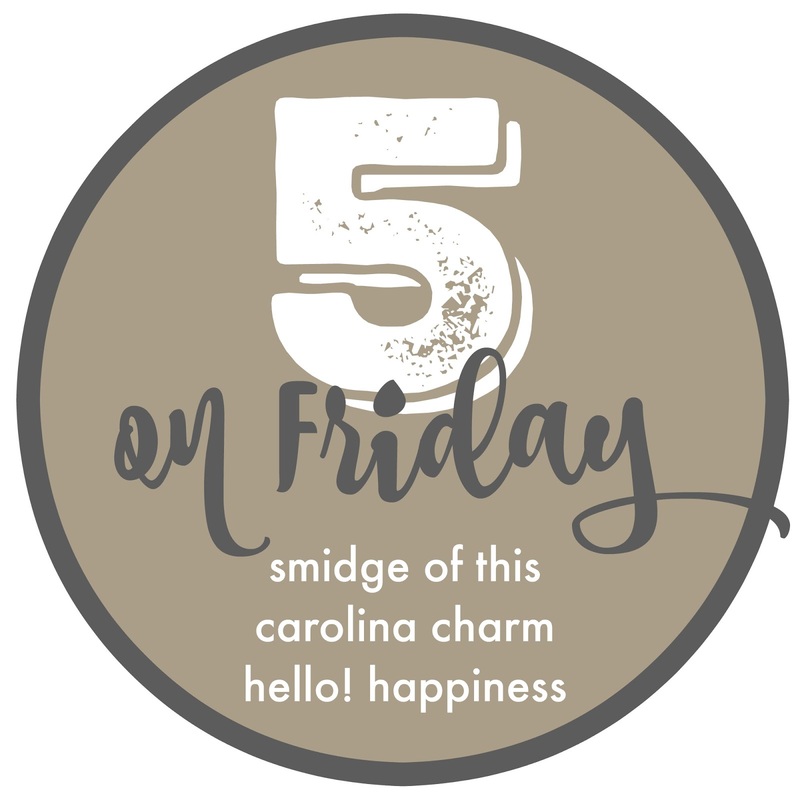 I am so very excited to continue our Five on Friday link-up in 2017 with two of my best blog friends — April and Natasha! We are so grateful for all of you who link up with us each week and for all of you who stop by to read! one. Matt pulled off a pretty amazing Christmas present for me. He consulted with one of my girlfriends to pick out the perfect pair of duck boots. And you know who was just as excited as me when I opened them? Caroline. I had just purchased a pair of duck boots on Black Friday for her and she couldn’t believe we now have matchy matchy boots. two. My sister is super picky when it comes to athletic wear. So when she texted me to say she finally found an (affordable) sports bra that she really liked I drove straight to Target and picked a few up. I love the strappy racerback style and the removeable cups. 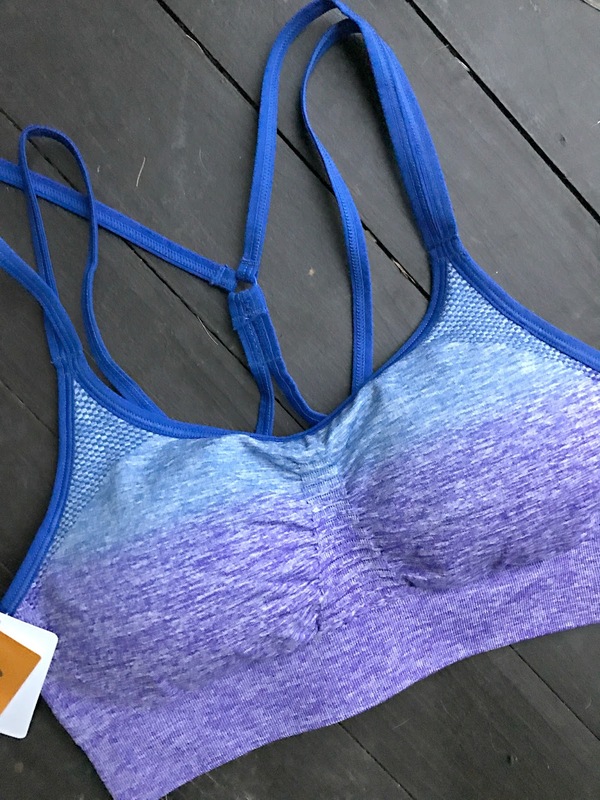 For those of you with fitness goals, I highly recommend stocking up on this C9 sports bra right now during Target’s buy 1 get 1 50% off sale! three. 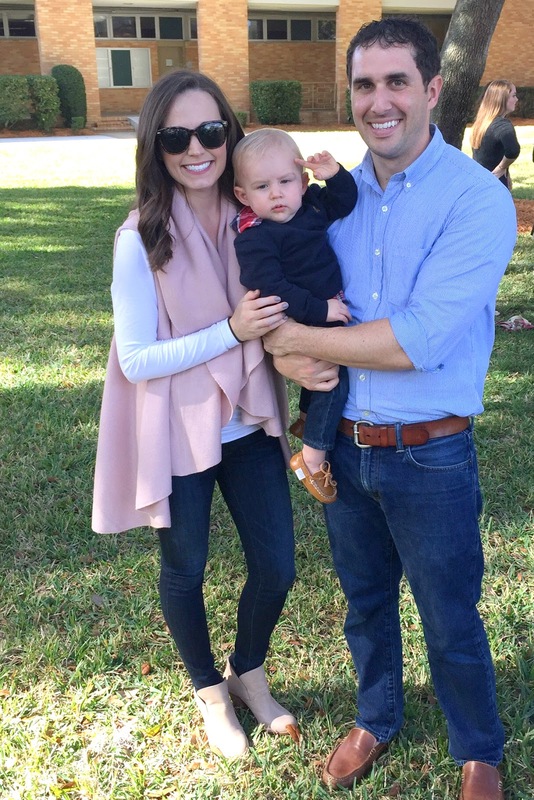 A few months ago I picked up the cutest shawl vest for my sister from one of my favorite boutiques, Ivy & Leo. And ever since I’ve wanted one for myself! And then I waited too long and all my favorite colors sold out. So when Ivy & Leo contacted me and asked if I wanted to review one of their new spring colors I jumped right on that and picked the sage shawl vest. I love this piece so much because you can style it dressy or casual, it’s only $29 and it comes in 9 colors. Also, this vest showed up to our Christmas gift exchange and was stolen three times and fought over big time. 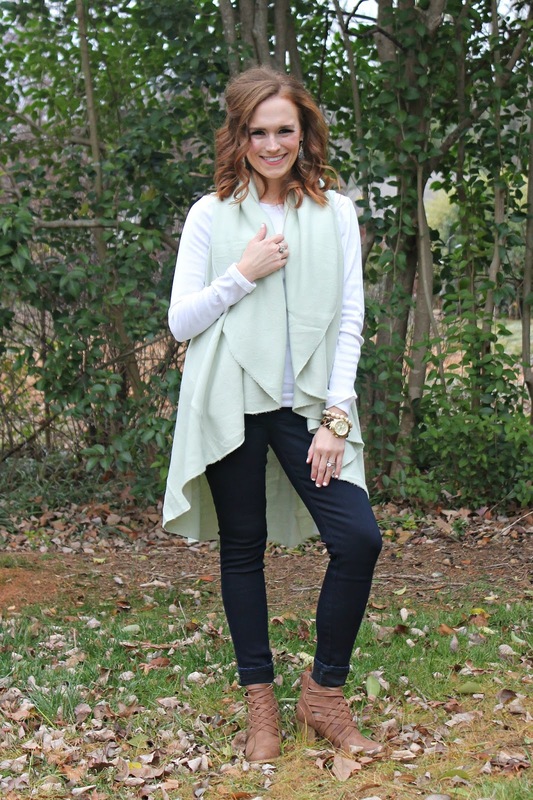 So hurry and pick up your spring shawl vest now from Ivy & Leo! PS – my shoes are also from Ivy & Leo but I think they are sold out online now. four. We took a break from HelloFresh over the holidays but are back in the swing of things so I started our deliveries back up. I forgot how much I love the convenience of coming home from work and not having to wonder what I’m going to make for dinner. And because I think HelloFresh missed me, they gave me a promo code to give FOUR of my friends a FREE box of HelloFresh meals! 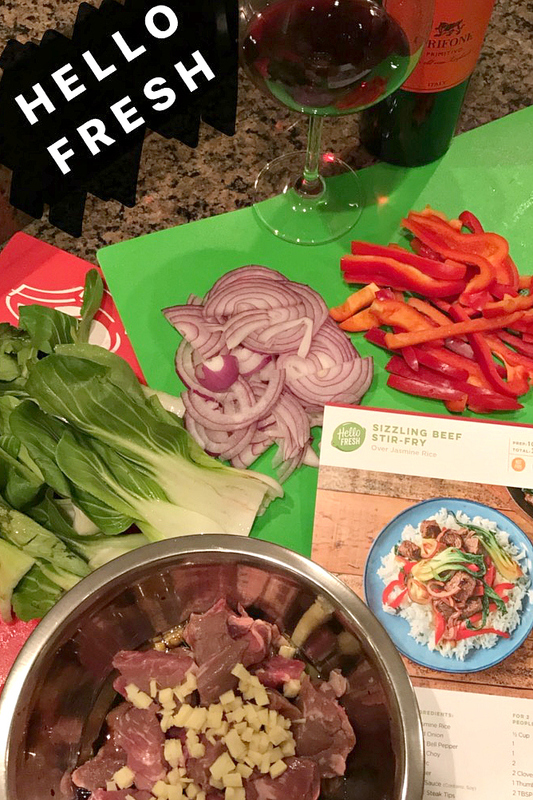 I’d be happy to send the first 4 readers to leave their email address in the comments a free week of HelloFresh to try! five. POLL! I have a random question for you. Do you run your dishwasher every night or do you wait until it’s full? Previous Post Cheers to 2017! I would love to try it! Kathrynbeckenhauer@gmail.comThanks!! I run it when it is full – I also put the dishes in there clean of any nasty crusty food. Love the boots and that vest!! Trying Hello Fresh is on my list! That vest is great! 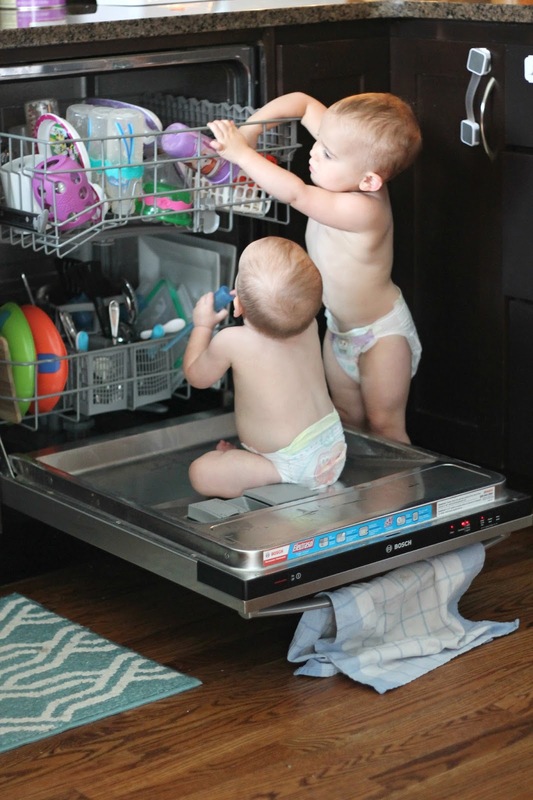 That picture of the little ones in the dishwasher is the cutest! Happy 2017! I would love to try HelloFresh.. my email is kayleeheape@gmail.com. I only run our dishwasher when its full. I love that shawl vest so much!! Last time you post about it they didn't have any colors I liked yet, I'll have to go see if that changed! We run our dishwasher when its full but now that you mention it, every day sort of makes more sense in my mind! We run our dishwasher when it's full 🙂 Which ends up being about every second day. Cute duck boots – love that they match! That vest is gorgeous on you, too! I love the duck boots…so cute! I love the shawl vest so much I just bought the Indi. Peach one!! 🙂 We run our dishwasher when it's full but ours is generally full every night! Happy Friday!! Happy Friday!! 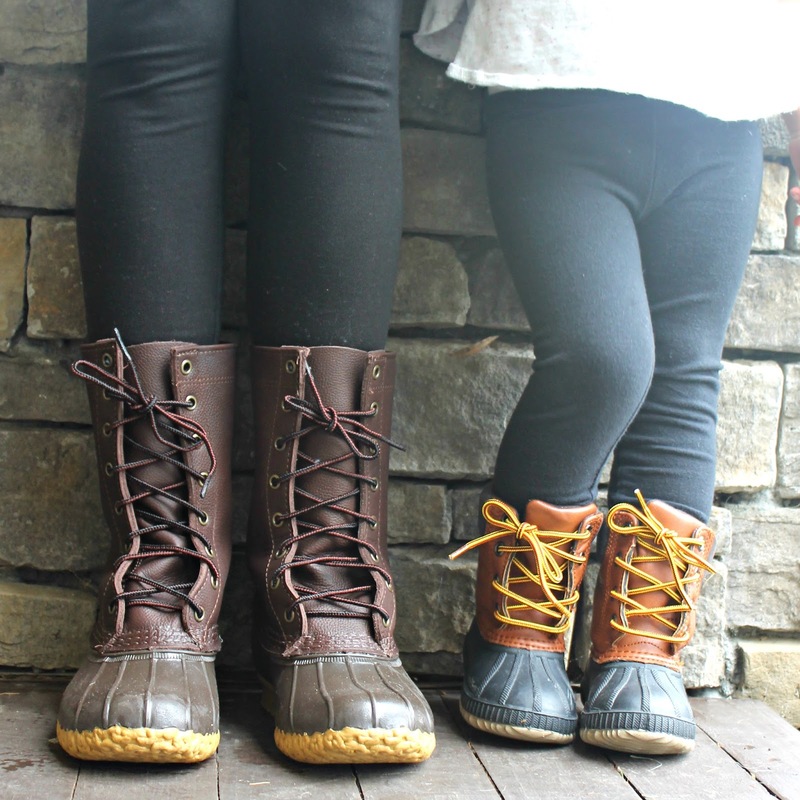 I am loving the coordinating duck boots – too cute! I saw your Insta post on that shawl – might need to scoop that up, love it! I definitely wait until the dishwasher is full. LOVE the vest! We usually wait until the dishwasher is full – which is generally every other day (1 year old and 3 year old over here)! Those matching boots are adorable! I don't have a dishwasher but I do wash the dishes almost as soon as they're dirty! I hate a sink full of dirty dishes! I LIVE in those bras. They are so so comfy. Love the duck boots. They're essential up here. Yall will look adorable in them. Love those duck boots and so adorable y'all are matching! We run our dishwasher when it's full but it's also just me and my husband. When my parents come to town it's full about every day! I run mine 1-2 times a day, when it's full. We go through a lot of dishes! I found the Columbia sports bra on Amazon. it's $7 and I've ordered 3! They are low impact but I do full body workouts and hold up my B cups nicely! 🙂 Very comfy! We run our dishwasher every night so it's ready to be unloaded first thing in the morning. It's usually full or close to. I usually wait until the dishwasher is full… unless we ate something especially messy or smelly! I wait until the dishwasher is full, usually! That sports bra is adorable… and I love you and C in your matching boots!! Love the boots, and so cute that you two match!! We run out dishwasher only when it's full, but then again, there's only two of us and no kids yet, so we don't have a ton of dishes! I have that sports bra and really, really love it too! One of my favorites. Happy New Year! Girl those Target sports bras are my absolute fav!! I've had mine for years and years and they hold up so well! We wait until ours is full to run it but with a new babe coming in 9 weeks I think it will be daily for sure! We used to run our dishwasher only when full, but then would somehow end up with half a loaf stuck in the sink waiting for the dishwasher (or to be washed by hand), so we try to run it each night, and it's almost full (I stopped washing sippy cups and bottles by hand to fill it up). I wait till it is full, but then again, it is just my husband and I which makes a difference. I may have to explore that sports bra! I am a DD and I can't seem to find anything great that is affordable! Happy new year! With a three year old and 1.5 year old twins…we run it every single night! Excited to take a look at that vest…thanks! We run it when it's full, which is usually every other night. We run ours when full. Which is often twice a day. But I'm home all day with a 3 year old and an 8-month-old baby on formula and I cook a lot. When I worked full time we ran it about every other day. Love the matching bean boots!